I travelled by public transport so I bought the SBB day pass for the city of Bern. Buying a day pass is the most economical because the pass is valid to travel by train, bus and tram in the city zone. This guide is written based on my own experience where I made a day trip and spent a whole 5 hours in the city. The Bundeshaus is the place I visited first. 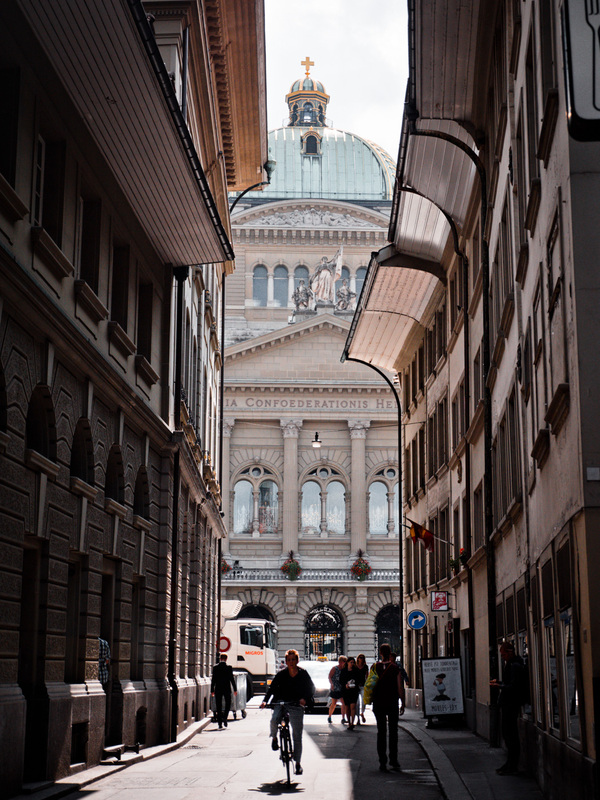 As soon as I got down the tram in Bern main station, I walked to Bundeshaus. It is a short distance. There was a parlimentary assembly so the guided tours are canclled on the particular day. How unfortunate because I wanted to join. I saw on television that the interior of the Bundeshaus is stunning. The guided tour is one thing I am looking forward to do when I visit Bern again. Alternatively, you could hang out at the terrace overlooking a part of Bern like I did. Twice. I visited the Bundesterrase in the morning but it was cloudy. After lunchtime, the sun started showung hence I went back to the Bundesterrase again to check out the view. An Instagram worthy place. The viewing point of Old Town Bern and River Aare. I took a bus to the Rose Garden. This park is absolutely beautiful. I would suggest visiting early in the morning. I had a short moment of peace and tranquility in the park before the tourists came. There is a restaurant in the park where you could have something to eat/drink. 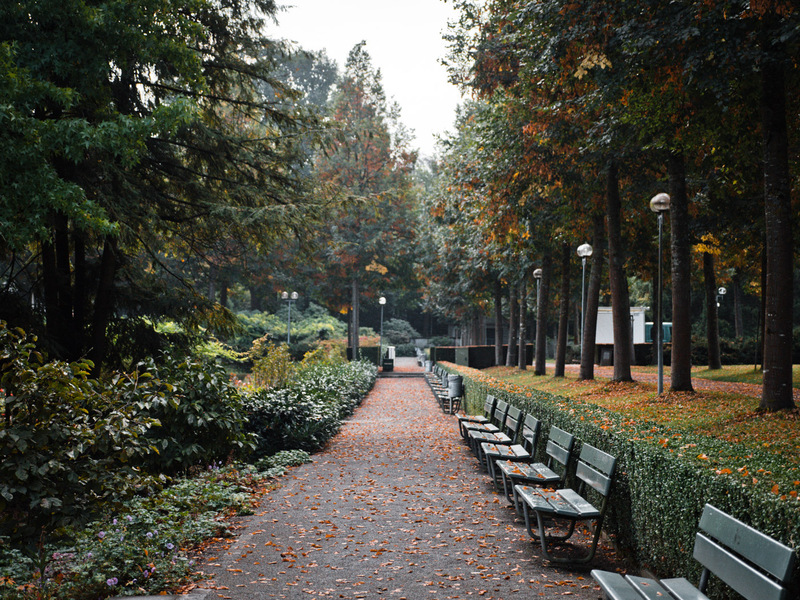 Tips: Near the bench where Einstein figure is, there you will find a quiet spot away from the tourists and (in my opinion) has the best view with tree foliage as foreground. From the Einstein bench in the Rosengarten, follow the path down and you will see the Bärengraben at the intersection of the main street. It’s hard to miss, I am sure you will find it. The Bear Park is my least favourite place because of how I feel about wild animals in captivity. Anyway, bears are a part of history in Bern. Bears were kept in Bern since the 1500s. I saw the bears in their old pit but the bears could access the new park by the river. I stayed at the old bear pit for sometimes then I walked to the new park and sat on the steps by the river. That area was deserted. I had some alone time to myself. It is a good place to have lunch or snacks. I would recommend bringing along some food with you. I wish I did. 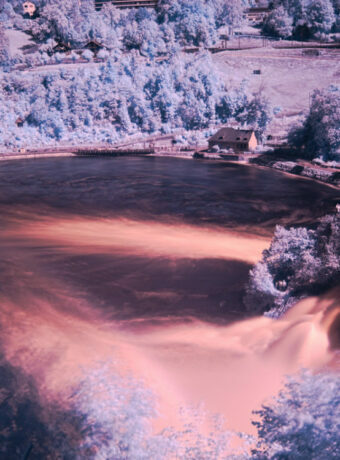 Please don’t swim in the river. It’s dangerous. Please do not discard your rubbish in the river. I walked from the bear pit crossing Nydeggbrücke to the old town. 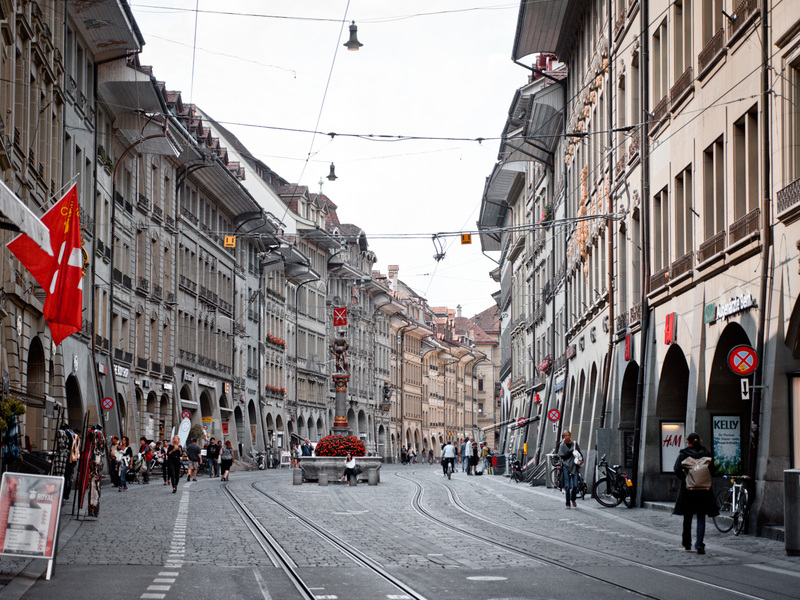 I had a splended time exploring old town Bern especially along Gerechtigkeitsgasse, Kramgasse, and Markgasse. The shops! The shops on both side of the streets are so visually appealing, special and interesting. My eyes were darting everywhere because Iwas so intrigued and greedy to see each and every shop (from outside). I was so absorbed by the beautiful windows display. Along these streets, there are shops underground which used to be cellars. This is so far the most intriguing old town I have visited in Switzerland. I walked along these streets thrice! 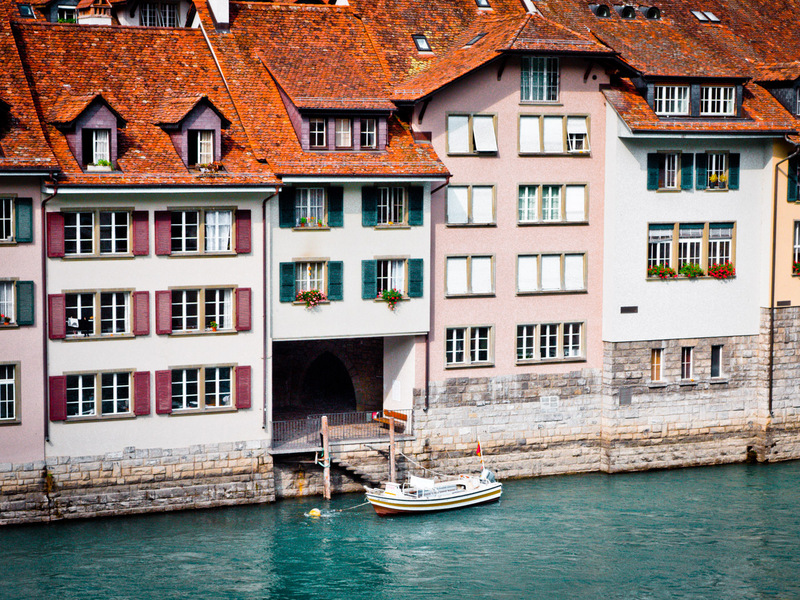 The Bern old town is never to be missed. 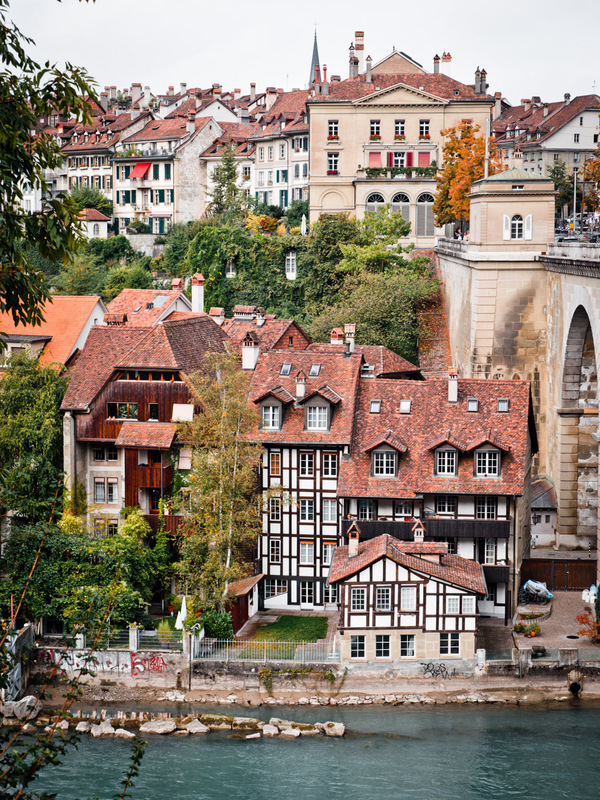 If you have little time to spend, visit the old town and skip everything else. Tip/s: Be alert and careful on these cobblestones street because it’s a pedestrian walkway but also bus- and tramway. Both towers are located in the old town. As you stroll along the streets I mentioned in point Nr.4, you will not miss these towers. 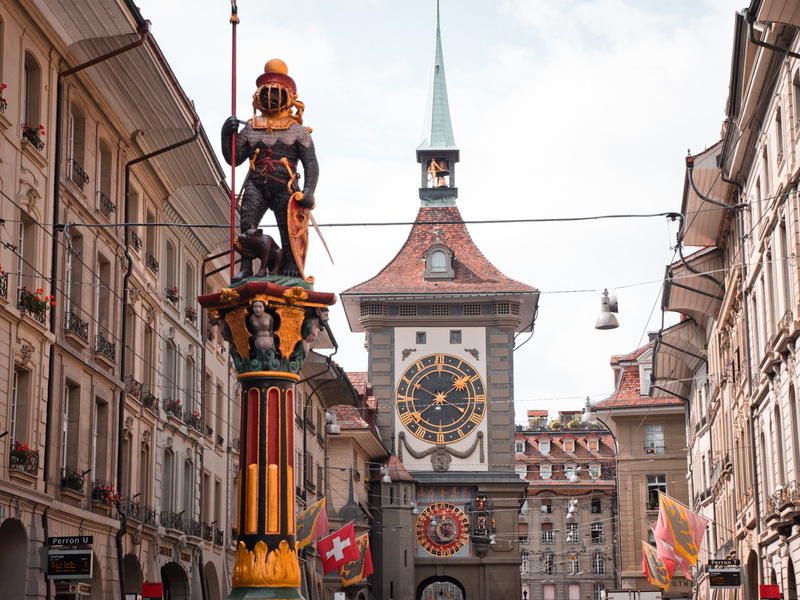 Zytglogge – This tower is one of the most important monument in Bern. The tower is Bern’s first city gate in the 13th century. On the tower is a 15th century astronimical clock – a sight to behold. An extravagant piece of work! There is a guided tour, which I didn’t join, to visit the interior of the clock tower. Käfigturm – It was Bern’s second city gate and a prison tower. I visited Einstein Haus located at Kramgasse. I paid CHF6 for the entrance and I feel that it’s too expensive for what I got from the visit. I visited the tiny apartment of Albert Einstein when he was living in Bern. On the upper floor, there is a small exhibition about his life. I am not a fan of Einstein so it was not very interesting for me. If you have spare time, you could pay this place a visit. 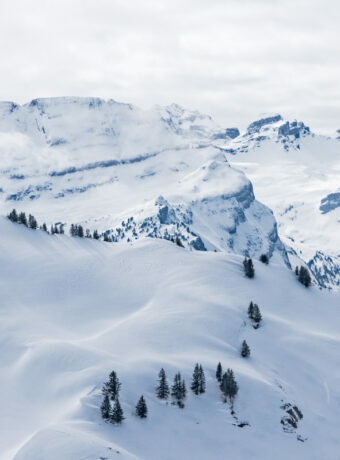 I hope this short guide gives you an idea where to go in Bern if you have limited time like I did. 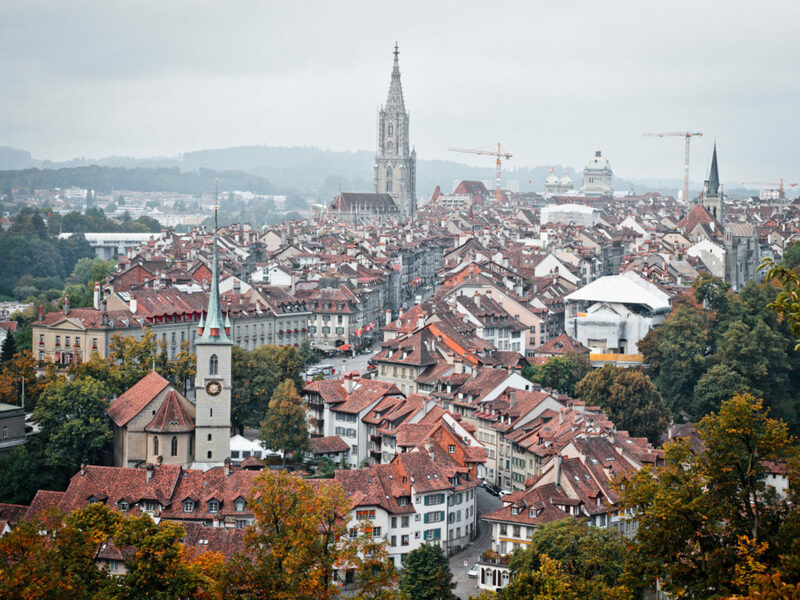 If you want more information, please visit Bern Tourism website. Whoever built that website deserves a bottle of wine. So very well done! I like Bern. It reminds me of it seeing your photos.